What needs to be considered when planning an ITIL project? How can I assign the available resources in an economical way? Is there a tried and tested approach to implementing ITIL? 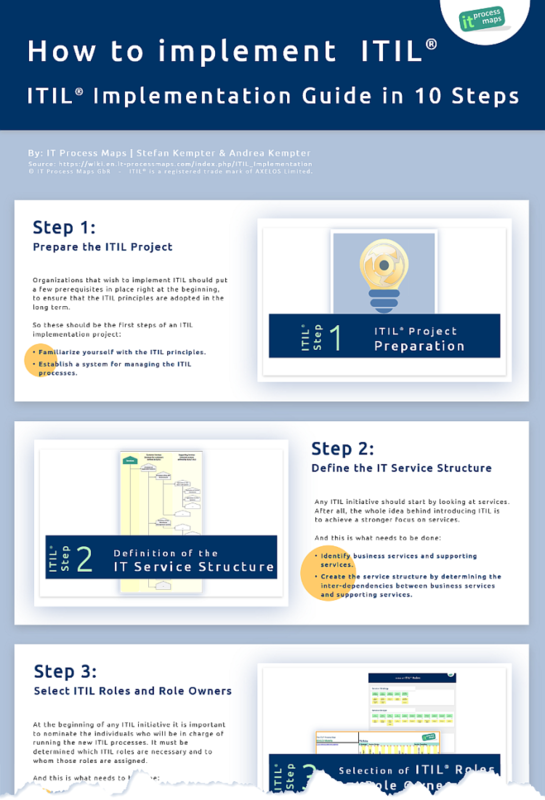 We created an infographic based on our "ITIL implementation guide" which describes how to set up and carry out ITIL projects, ITSM projects or ISO20000 initiatives.